February, 2017 | Chain D.L.K. 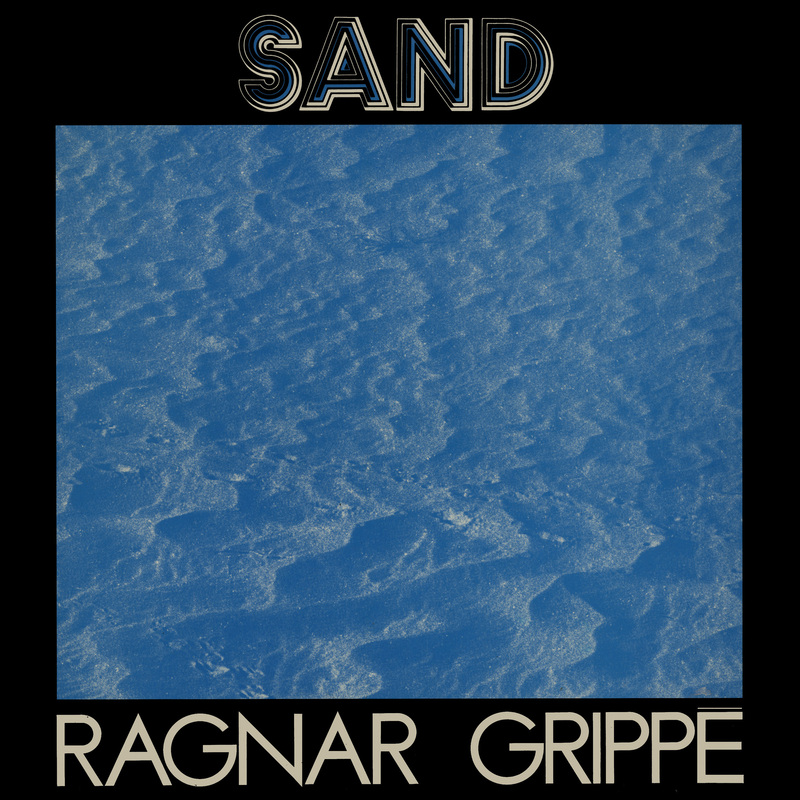 Dais Records proudly reissues “Sand” by Ragnar Grippe on vinyl for the 40th anniversary of its original release in a limited edition 500 copy pressing on clear vinyl featuring new liner notes by the artist on March 24, 2017. Atmospheres dystopian and post-apocalyptic, through the anxiety of perceptions and sinister undertones, pushing sound research into drifts heartbreaking, trying to stratify a metaphysical disorder. Out of the sun-drenched suburbs of Perth, soundscape maker/electronic producer Ludodowwn explores the grime underneath on their debut EP, Mirror/Bleach. Made between long night shifts as a hospital orderly, Mirror/Bleach comes from monotony, that can be interrupted by novel horrors at the ring of a pager. Out of this stems the erratic nature of the record and its sometimes sudden and drastic shifts from dense, dark atmospheres to kaleidoscopic electronica. The obtuse lyrics are the rambling and anxious observations of a bored mind, drifting between sense and nonsense. Listeners are enveloped in Ludodowwn’s soundscapes, with the intermittent voice acting as a candy trail to follow through the labyrinthine production. The Mirror/Bleach EP is a twisted, twitchy, and unnerving introduction to a fresh voice in Australian electronic music. Chain D.L.K. : Hi, Olivier! Before talking about your forthcoming collection of music (excellent output! ), as usual, let’s have you metaphorically shake hands with our readers… Could you tell us something about your background and your very first steps into music? Olivier Alary: I come from Toulouse, a mid-size city in the south of France. My first steps into music were very intuitive, as I had no guidance whatsoever from my family. I remember playing vinyl records from my mother; I also had a little “mange-disque,” a toy record player that could only play 7”. I loved to scratch them and listen to the result. Later on, I did a lot of compilations on cassette using FM and AM radio as a source. I have always been fascinated with the idea of sculpting sound. I discovered punk when I was 15 and started playing in terrible punk bands as a lead vocalist. Then I got my first four-track in 1993, and that was an absolute revelation to me. Chain D.L.K. : According to your biography, you previously studied architecture before getting deeper into music. Why such a decision? Olivier Alary: As my family was not involved in music at all, it was very hard for them to imagine a possible career in this field. I struggled quite a bit with them. So I thought that architecture might be a good compromise between my scientific and creative sides. Chain D.L.K. : The impressive Sketch Proposals could be considered your debut as Ensemble (following the also nice moniker, Hearing is Our Concern)… Why did you choose a nom de plume that generally refers to a group of people for a solo project? Olivier Alary: Well, Ensemble in French also means “together.” The project was a French-English duo comprising my girlfriend and myself at the time, so we liked the idea of a name that worked in both languages. During the recording of the first album, we actually split up, so it became a strange solo project. In retrospect, ‘ensemble’ was a terrible choice for a band name because it is so vague and overused. Also, we chose that name before the internet became so wide-spread, so I did not realize how un-Googleable the name would be. Chain D.L.K. : One of the most famous fans of that album was Bjork… How did you learn about her enthused feedback? 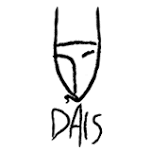 Olivier Alary: Dave Cawley from FatCat Records told me back in 2000 that he saw my album on her coffee table. I decided to write to her to suggest a collaboration between us. Chain D.L.K. : Then collaborations with Bjork followed…can you tell us some cute anecdotes related to that period of your career? Olivier Alary: It was incredible. She was so humble and genuinely excited about my work. I was just a kid that released a record on a small label. To be contacted by her was such a surprise! We had the chance to work a bit in the studio and perform live together, and it was so ordinary but eerie at the same time. Chain D.L.K. : You signed your recent releases under your real name and surname… Are you going to put Ensemble aside, or are you going to reprise it? Olivier Alary: I won’t release any more records under Ensemble. I’ve explored what I wanted to explore with this project. I find that Excerpts is a good ending for it. Also, it makes far more sense to release albums under my name. I can’t believe that it took me so long! Chain D.L.K. 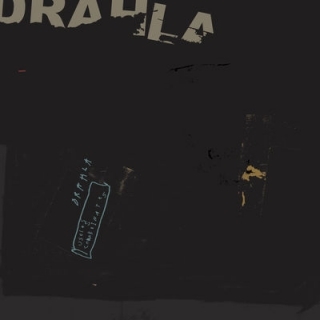 : The title of your last album seems to suggest you tried to play in an Interzone or a ridgeline between fiction and reality… Did you mean something different by that title? Olivier Alary: Yes, indeed. In film terminology, a documentary is also called ‘non-fiction.’ As this album is a compilation of fiction and documentary film music, I thought that the title was clear but evocative at the same time. Chain D.L.K. : Do non-fiction and reality mean the same? Olivier Alary: Well, somewhat. Non-fiction is based on facts, real events, and real people, but there’s always a slight distortion happening somewhere. Reality is always a bit porous. Chain D.L.K. : You already composed a lot of music for fiction…do you think that composition for a plot or a movie is a limit for a composer or not? Olivier Alary: You always work with limits in music. Duration, instrumentation, budget, format… But I find that working with an image can also be liberating because the structure and direction are already there. You also work with the director, so it has to be a collaboration. On the other hand, when I work on a personal project, I find it harder as the music is not helped by any moving image. But it’s also more fulfilling because I am the sole creator and director of the piece. Chain D.L.K. : You also included new material for this release…can you introduce it? Olivier Alary: The two new pieces are Pulses (for winds) and Pulses (for percussion). The idea was to use a polyrhythmic palindrome transformed throughout the piece. In the wind version, I tried to emphasize the fragility of the patterns and their mutation from formless washes of tonal white noise to clear pulses. In Pulses (for percussion), the first motives are played on gongs in order to create a harmonic blur that gets more precise and resolved by the addition of Marimba and Vibraphone, until the lyrical crescendo. Dave really wanted to add these pieces to the album to give some shape to the overall selection, and I thought that it was a great idea. Chain D.L.K. : I’ve read many beautiful stories about location and circumstances behind some of the tracks of this selection…can you tell some of them? Olivier Alary: It’s always great to work in beautiful orchestra halls. I had the chance to record at the Babelsberg film studio near Berlin, the Philharmonic Hall in Wroclaw and many churches in Montreal. But the relationship with the musicians is what I find fascinating. The most magical moment is to hear your score being played for the first time. I use orchestral samples to compose, but to hear the real thing being played in real time by real musicians is always incredible and humbling. Chain D.L.K. : I recently listened to the sweet remix of Nollywood by Ian William Craig… Did you like it? Did you enjoy remixing his “A Single Hope”? Olivier Alary: For sure! I like Ian William’s work. I find that his music is a lovely symbiosis between several genres. I love his directness, his intelligence and his wall of noise aesthetic. I really enjoyed working on “A Single Hope.” It was Dave Howell’s idea to exchange remixes, and it actually turned out great. Olivier Alary: Yes, I am now working on orchestral pieces incorporating electronics. The idea is to explore the intersection of “concrete instrumental music,” as defined by German composer Helmut Lachenmann, and post-tonal language used by American composers gravitating around the Bang on a Can group. Chain D.L.K. : Are you going to bring your music on live stage extensively? If so, some anticipation? Olivier Alary: I’d love to. But I’d need a lot of musicians to present it accurately. Maybe we should do an all star 130701 tour so that everyone can play on each other’s music. Maybe Dave Howell will set it up? Though these are coming out on Record Store Day, none of them are “exclusive”. That means we can take preorders on them (except Autocreation which will be plentiful in number and available right after RSD if anyone misses out). 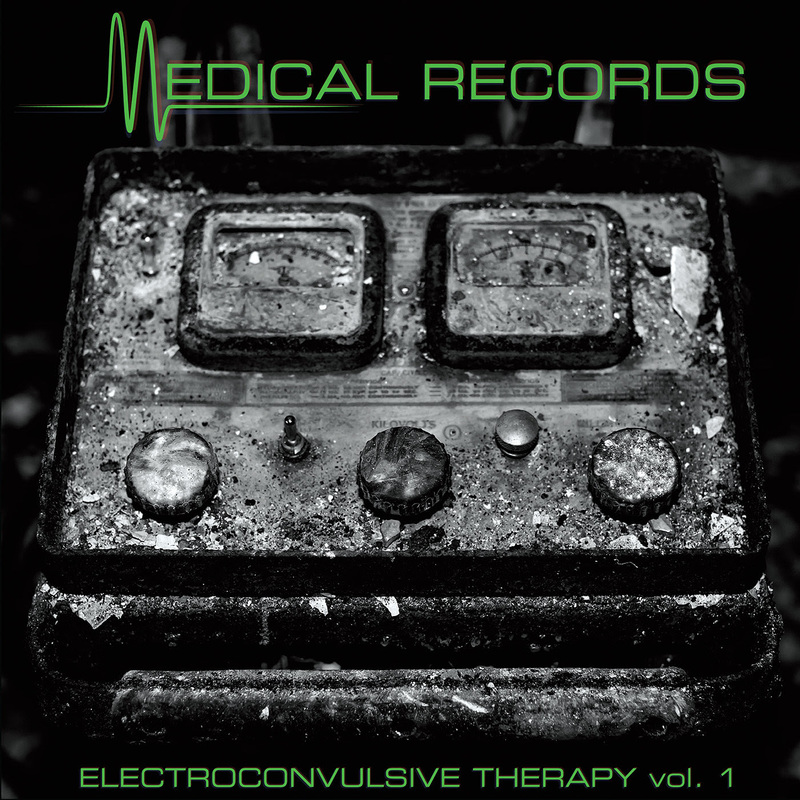 MR-028 V/A “Electroconvulsive Therapy Vol 1” LP re-press! Medical Records in collaboration with our friends at Crispy Nuggets blog are happy to reissue a very obscure Australian gem from the 1980s. 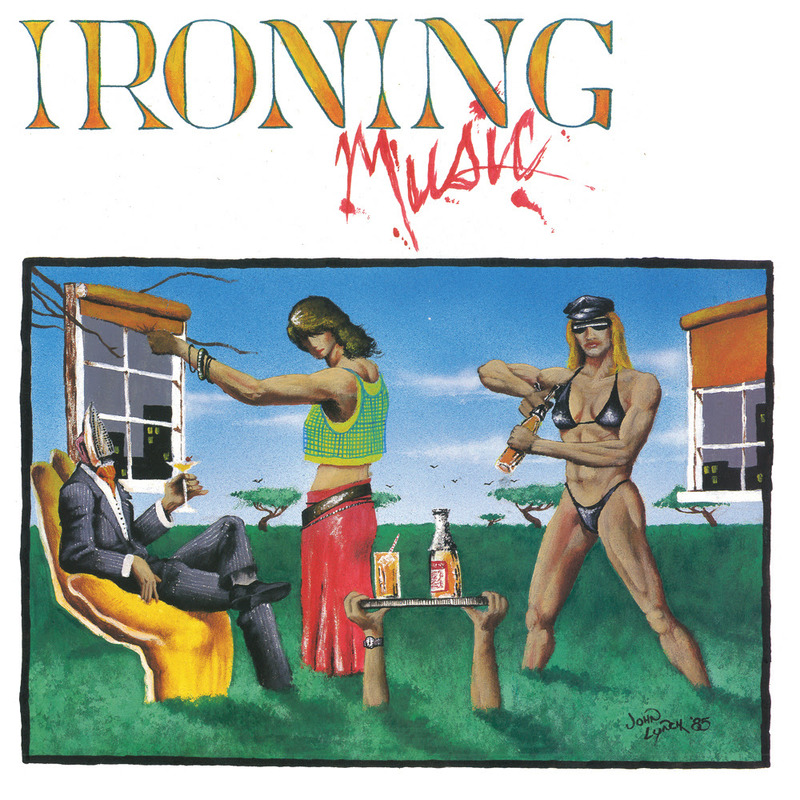 Ironing Music were a three piece band from Brisbane. They originally formed in 1984 as a result of their collective love for New Order, Human League and eventually Jean Michel Jarre and Cabaret Voltaire. Comprised of bass and electic guitar, Yamaha DX-7, melodica and an 808, they recorded a 12” single as their sole outpt in 1985 in a limited run of 250 copies (obviously excruciatingly rare now!). It was recorded in their bedroom studio with at Teac 4 track. The video clip for the “hit” Shopping Bag Women was played on several national and local television music shows. They also recorded demos in hopes of landing a LP deal which unfortunately didn’t attract any takers at the time. They actually only played 3 gigs and were forced to disband after one of their members fell ill in 1986. The LP presented here included the original 4 track single as well as hand picked demos which nicely congeal to form a well rounded LP documenting the band’s brief existence. They can best be described as lo-fi synth pop with an emphasis on excellent pop songs and interesting synth/instrument arrangements. The first track Shopping Bag Women is infectiously catchy and just screams to be worn out in the club. Fans of early to mid 80s synth pop and new romantic will fall in love. The tracks have been lovingly remastered by Martin Bowes at the Cage, London. Features original reproduction of the front cover painting. Presented in a limited edition on 180gram vinyl. Preorder HERE (Come with instant download). MR-071 Autocreation “Mettle.” 2LP Currently not available for preorders but will be available on and after Record Store Day (from brick and mortar stores, etc as well as from us). For Record Store Day, Medical Records continues it’s fascination with all things Mark Van Hoen this time presenting the sole album release by Autocreation entitled ‘Mettle’. 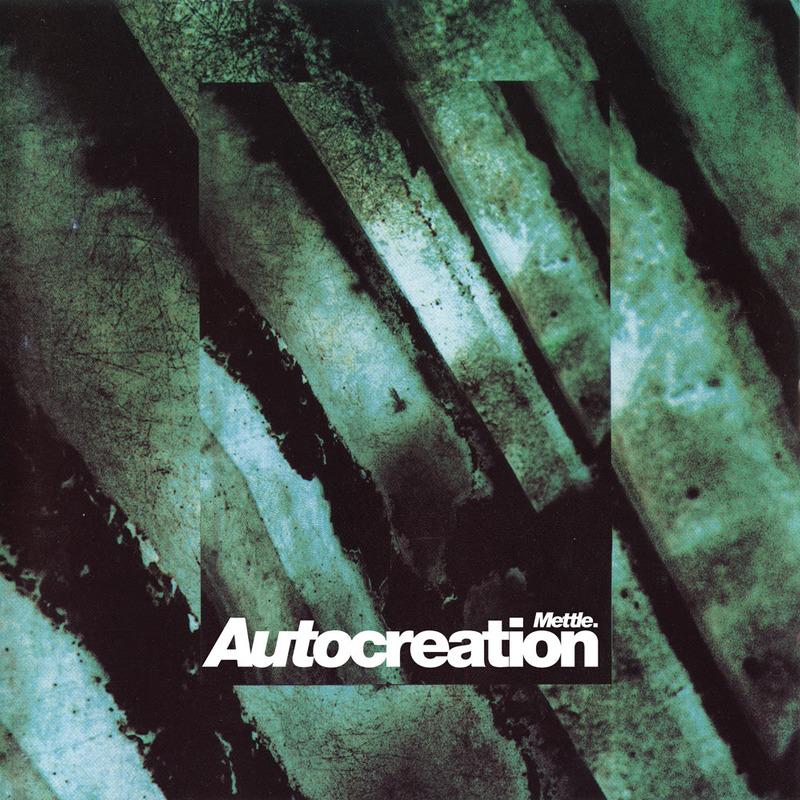 Autocreation was formed in 1992 when Mark Van Hoen was roomates in West London with the other members Kevin Hector and Tara Patterson. Kevin and Tara as DJ’s at the University of London; Tara had recorded with The Hafler Trio prior to this The 3 lived in an apartment block that was full of acid house devotees, DJs, and house producers. The 3 friends spent a lot of time in cutting-edge London clubs which inspired and influenced their music. A remix they worked on – Seefeel’s “Plainsong” became the blueprint the Autocreation sound, as well as feeding back into Seefeel’s sound on their own subsequent material. Autocreation were heavily influcenced by contemporary dub techno such as Basic Channel, early Sähkö Recordings such as ‘Ø’ (Mika Vanio) as well as more pure techno such as Kirk Degiorgio and Jeff Mills. 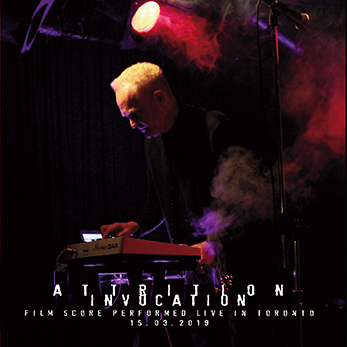 They recorded the album in late 1993, sandwiched between the recording of Van Hoen’s Locust album ‘Weathered Well’ and his collaboration with Seefeel’s Darren Seymour ‘Aurobindo:Involution’. 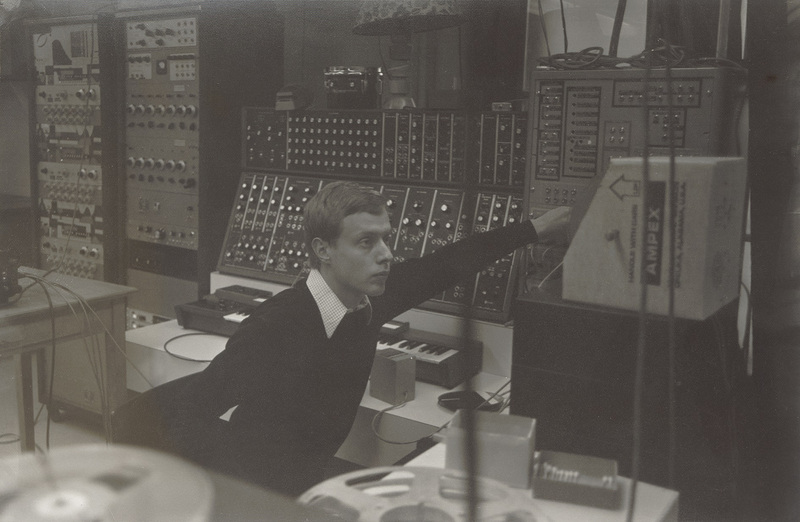 The album notably features heavy use of modular synthesizers (Aries 300, Digisound 80 and others), quite unique for a techno record of the time. The album was released on The Orb’s label Inter–Modo on CD only – directly following The Orb’s collaboration with Robert Fripp (FFWD). Artwork was designed by The Designers Republic – responsible for the vast majority of Warp Records’ catalog and various releases by The Orb. The album is a dark, brooding ambient techno masterpiece. Similar in vein to Locust’s Weathered Well but more techno/IDM genre compliant that made it at times dance floor compatible. For this special edition (first time on vinyl), the album is expanded to a double LP featuring bonus tracks. The jacket is a gatefold featuring a montage of photos in the gatefold. Specially remastered by Mark Van Hoen. Presented on limited edition high quality double 160-gram classic black vinyl. 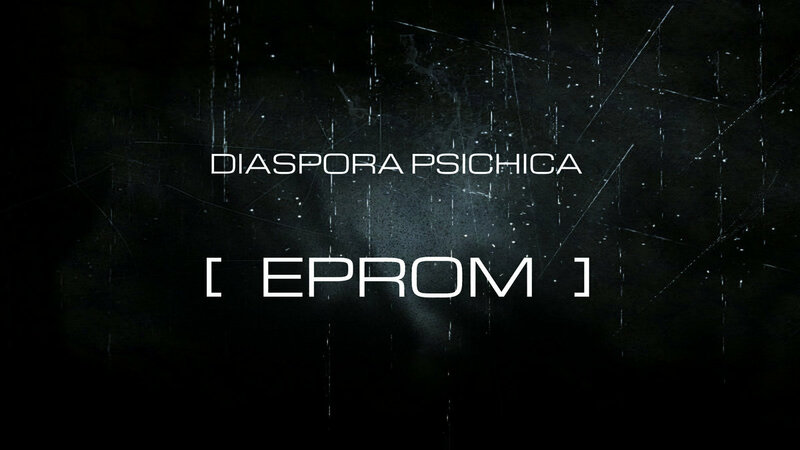 For fans of early Locust, dark ambient techno, and early 90s dance floor friendly IDM. 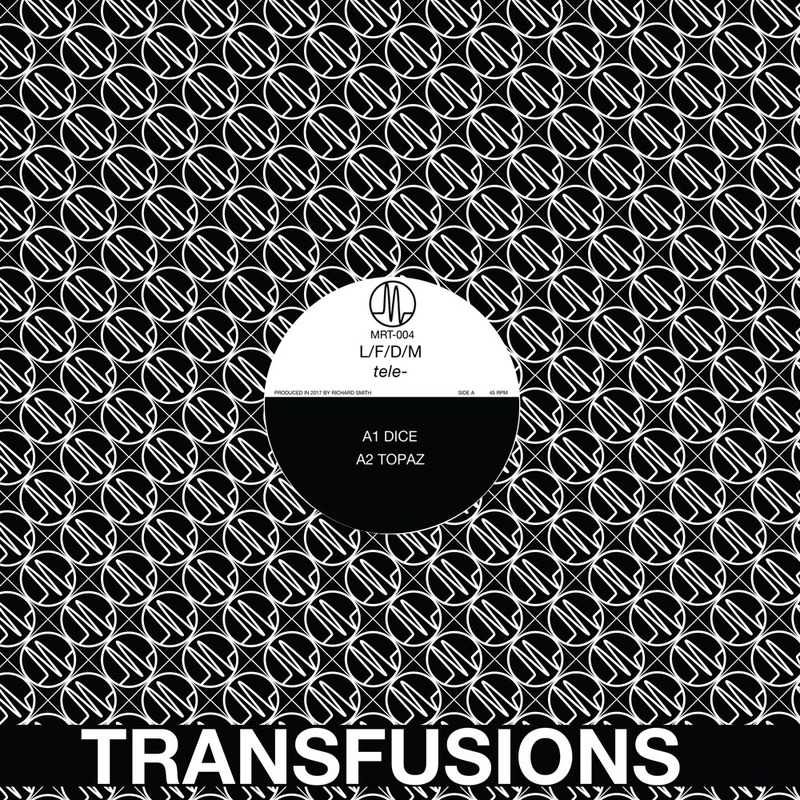 Medical Records is proud to release it’s first compilation LP. In association with Crispy Nuggets blog (http://crispynuggets.blogspot.com), we have carefully curated a collection of extremely rare and sought after singles and rare tracks. This compilation includes 5 complete A + B sides as well as 2 other tracks that only appeared on obscure compilations in the early 80s. The first 2 tracks are by UK’s The Electronic Circus. Featuring Chris Payne (who also performed synth work on the iconic “Pleasure Principle” by none other than Gary Numan), the track “Direct Lines” is pure synthpop perfection. The second featured artist is Boston’s Psychic Youth who released one lone 7” in 1982. One of the members, Perry Geyer, was also a founding member of the industrial outfit Manufacture. “Step in Time” and “The Future Is Now” are both dense minimal synth hits that have been remastered by Mr. Geyer himself. Another excruciatingly rare 7” is the self-titled single by UK’s Aaah…! “Slip Away” and “Duty Calls” further fit the bill for moody minimal synthpop greatness. Possibly even more rare is the Shazam single released in 1983 in the UK. Both tracks from the single are included here. The 2 “wild card” tracks if you will on the record are “Panic In Your Mind” by N.A. Pop 2000 (UK) and “Maske” by Berliner Strasse (Yugoslavia). Both tracks were plucked from rare wave compilations from the early 80s. The final single featured is the solo outing by Claude Arto from Mathematiques Modernes. Released in 1981 on Celluloid (France), the 2 tracks drip synthetic bloops and blips while being propelled by rhythmic electro sequences. A perfect closing of each side of the LP. This collection will certainly appeal to fans of the rare minimal synth culture, early stripped down synth pop, or anybody else who has wanted even one of these tracks on wax again as they are all quite rare. This re-press is presented on high-quality 180gram black vinyl. Front cover photography by Alan Masters. Limited edition. Last but not least, we recently acquired the final copies of Martial Canterel “Navigations Vol 1” LP on Electric Voice Records. Very limited.